We are currently located in a great building at 489 Main Street, Caribou. 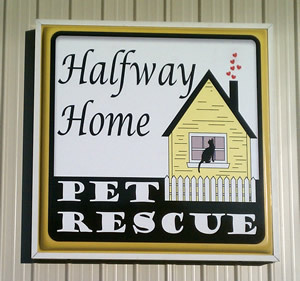 This facility houses our adoptable cats and kittens and has a social room where cats can roam free and interact with each other and human visitors. We also have space to sell a few thrift store items. We are open Saturdays, noon to 3pm and by appointment only because we are limited by how much time our volunteers can give. We have grown so quickly in an effort to keep up with the demand of our local communities. It seems there is never enough space. 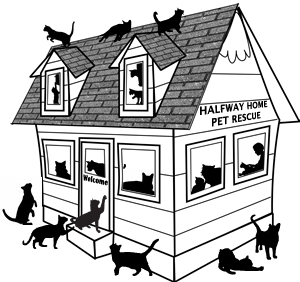 We rely heavily on our foster homes to take in and prepare our cats and kittens for adoption. Once ready, they are moved to this facility. HHPR always needs more space. One day we would like to have a building of our own with room to grow. Over the past 2 years we have been raising money for this purpose and have explored many real estate options. It takes many hands and a good chunk of change to make a project like this a reality. We’ve got a great start, thanks to so many wonderful supporters. or if you want to pay via credit card online, you may use our Donation link button below.